Set approximately 1300m above sea level, the village of Morgins sits nestled within the French territory of the area of the Portes du Soleil on the French/Swiss border. The resort boasts a mix of hotels and classic chalets and offers direct access to more than 650km of ski slopes across 12 different resorts. Cross-country skiers also have access to 20km of trails around the village. With a population of just over 4000, Morgins offers an intimate location in which to invest. Living in the village of Morgins is popular amongst both the French and Swiss, and more recently it has become an increasingly desirable location for British ex-pats. There are plenty of things to do in Morgins for both advanced and novice skiers and families. There is a bank, supermarket, Baroque-style church, public sauna and fitness centre. Morgins has enjoyed extensive development over the years. 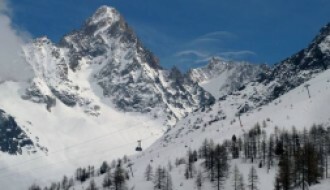 During the 1950s and 60s, the first chair lifts and ski lifts were built. These underwent improvements in the 80s, with more chair lifts being built to cope with the growing popularity of the region. 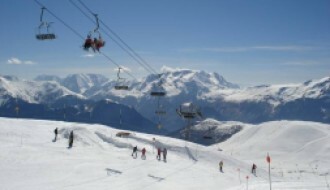 During the early 2010s, further extensive development was undertaken in the region, connecting the village with the popular Portes du Soleil region. 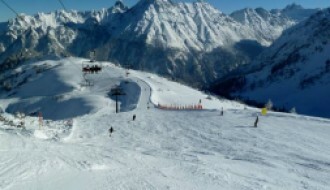 Skiers have the choice of a wide variety of slopes between 1,000 and 2,400 metres, and many of the courses are suited to the novice skier. The Belette is an accessible green course that offers the opportunity for beginners to advance a bit further up the mountain. Advanced courses include the black/red slope called The Swiss Wall that straddles the border between France and Switzerland. Night skiing is popular in the region with floodlit slopes, and for those looking to challenge themselves, there are valley runs and a public race course. Families are welcomed to Morgins, and a snow park, halfpipe, easy cross country skiing and snowshoe walks are perfect for families with younger children to enjoy. Apres-ski activities in Morgins include a casino, a concert hall, 8 restaurants, 6 bars and cafes, a nightclub, and a cinema. The region enjoys the lowest rainfall through the month of April. At an average of 14°C, July is the hottest month of the year, whilst in January the average temperature is just -3.5°C. For the latest weather reports, take a look at our Morgins resort guide here. Due to its popularity throughout the year, Morgins is a highly desirable location for those seeking an investment opportunity. The village offers a variety of traditionally rustic ski chalets, chic, contemporary chalets and luxury chalets. With a free ski bus service connecting the village and is locality to Le Portes du Soleil, Morgins has become an area synonymous with the discernible skier. There is also huge potential for continued developments in Morgins. A key area of investment is property lets, with the winter peak season of December to April being of highest demand. However, returns are possible throughout the year with summer months being popular with hikers and bikers. With just over 4000 permanent residents in Morgins, investment in retail and culinary outlets is also an option for a year-round return on your investment. 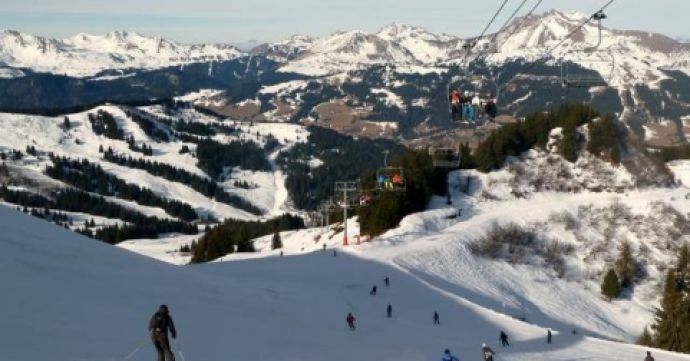 The government development and investment within the area, which includes improved ski lift links within the Portes du Soleil, has resulted in Morgins becoming a highly sought after and desirable destination. Getting to Morgins is relatively easy. It has good transport links with the wider area and is only approximately 15km off the main motorway, taking around 30 minutes by car. The nearest airport at Genève is approximately 128km away and has regular buses to the region. The nearest railway station offers transfers to and from Morgins and is just 9km from the village.